Brian is a Partner in the firm of Sutton Frost Cary LLP and has over 10 years of public accounting experience. His background in accounting includes experience in both the public and private sectors. His extensive and diverse experience includes, but is not limited to, audits of financial statements of privately owned companies, employee benefit plans, financial institutions and nonprofit organizations and consulting for insurance-related clients. Clients served by Brian include corporations, S corporations, partnerships, employee benefit plans and various nonprofit organizations. 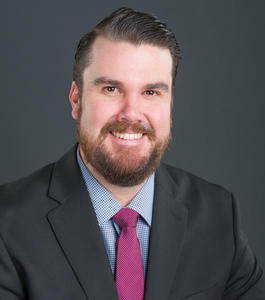 His industry experience includes manufacturing, retail, insurance, financial institutions, waste management, employee benefit plans and various types of nonprofit organizations. Brian graduated from Texas Tech University with a Bachelor of Business Administration in Accounting in 2006. He is a member of the American Institute of Certified Public Accountants and the Texas Society of Certified Public Accountants. Brian is a member of the Arlington Chamber Young Professionals and Arlington Chamber of Commerce. In his spare time, Brian enjoys golfing, college football and spending time with his family.